The Denver Outlaws shocked the Dallas Rattlers with a 16-12 win on Saturday night at MUSC Stadium to give them their third MLL championship in five years, having previously won the Steinfeld Trophy in 2014 and 2016. The Rattlers had high hopes for their season after finishing in first place after the move from Rochester. As lightning danced across the sky and thunder boomed to echo an Outlaws fan’s pounding drumbeats in the last quarter of play, the Outlaws methodically executed wizard-like goals to stun the Rattlers. There were several stealthy players on both sides of the field. In goal, Dillon Ward and John Galloway both twisted and turned their bodies to make saves that wowed the fans. Ward ultimately came out victorious as he stopped 16 of the 28 shots he faced. Ward took over for Jack Kelly in goal earlier this season after Kelly was injured at the Worlds. Both goalies were brilliant on the field. It was particularly heartbreaking to watch Galloway at the end of the game as he spent several minutes hunched over on the ground with various people trying to console him. Matt Kavanagh ultimately walked away with the $10,000 prize for MVP honours. This truly could have gone to Ward and his brilliant saves, or Chris Cloutier, who muscled his way to the goal and seemed to change the course of the game with his two goals despite coming off a knee injury. Kavanagh’s four goals and five assists put the odds in his favour. “If you run the tape back on this one, I think that’s the definition of a full 60 minutes. It can’t get much better than that. It was awesome,” Kavanagh said to majorleaguelacrosse.com. 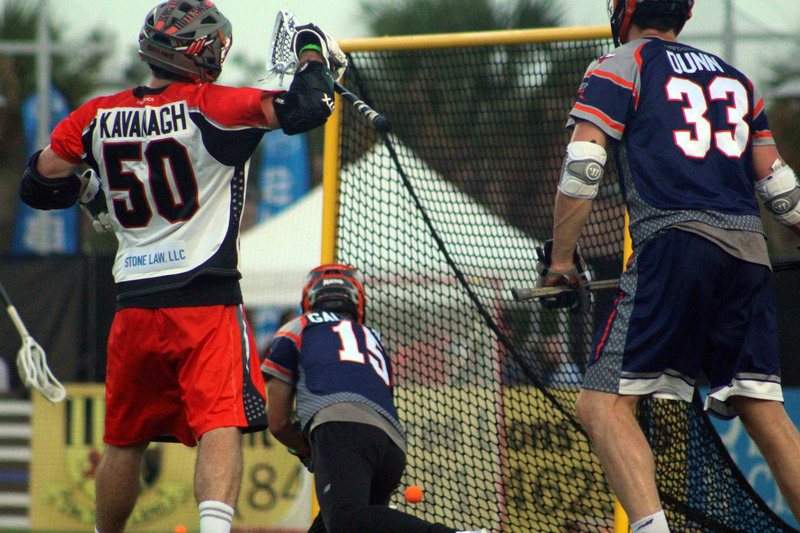 The Outlaws held a slim 10-9 lead at halftime but really went to work on defense in the second half, limiting the Rattlers to three goals while scoring six of their own. Kylor Bellistri, Zach Currier and Mikie Schlosser had two goals each for the Outlaws. Single goals went to Romar Dennis, Josh Hawkins, Eric Law and Finn Sullivan. For Dallas, six goals came from either Randy Staats and Jordan Wolf. In a normal game, this probably would have been enough, but the Rattlers appeared to be stunned by the Outlaws’ onslaught including Max Adler’s continuous play despite a Rambo-like bloody body. Adler appeared to tweak his knee in the game and was later revealed to have a broken bone in his foot. 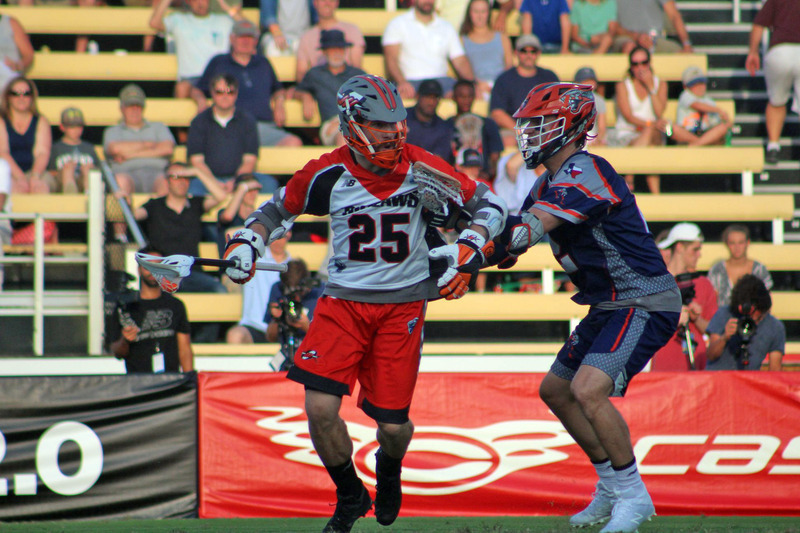 Ned Crotty and John Ranagan scored twice for the Rattlers. 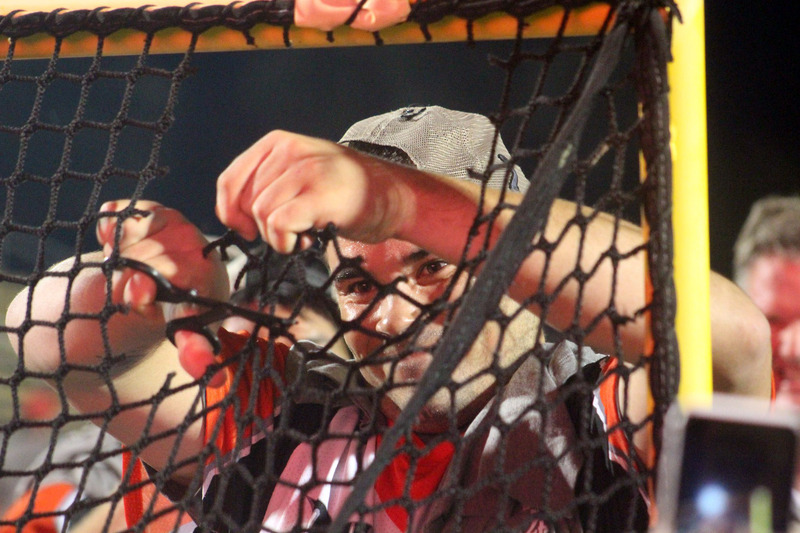 The win puts the Denver Outlaws in an elite club tied with the Lizards and Barrage with three cups each. Outlaws’ captain Matt Bocklet announced his retirement after the game.